Dune Rex Minis from Risk Legacy. Arrakeen Minis for Dune Rex from Risk Legacy. They look great on the board! 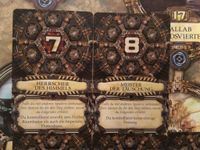 Harkonnen - Dune Risk Risk Legacy. These guys looked perfect - no paint needed! 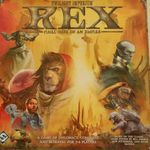 Guild - Dune Rex Risk Legacy. 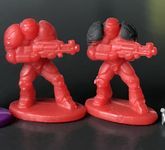 I figured the guild would only have mercenaries but maybe some of their troopers are changed and deformed by spice consumption, so why not use the aliens from Risk Legacy? Fremen - Dune Rex Risk Legacy. These guys are perfect for Fremen: bearded dudes with Crysknives in their hands!! Bene Gesserit - Dune Rex Units from Risk Legacy. Lady fighter figures are hard to come by but these are perfect for Bene Gesserit. Just paint them green. 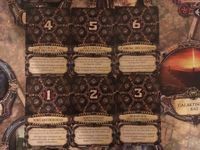 Atreides - Dune Rex Units from Risk Legacy. These looked the most dignified of the Risk Legacy units plus they were already the correct color for the Atreides faction!